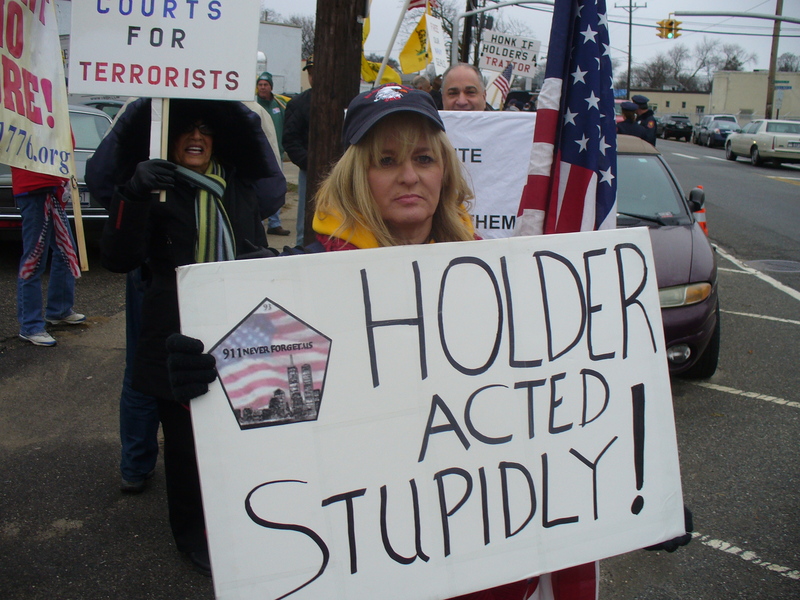 Attorney General Eric Holder came to Roosevelt, Long Island today, and patriots were there to greet him! 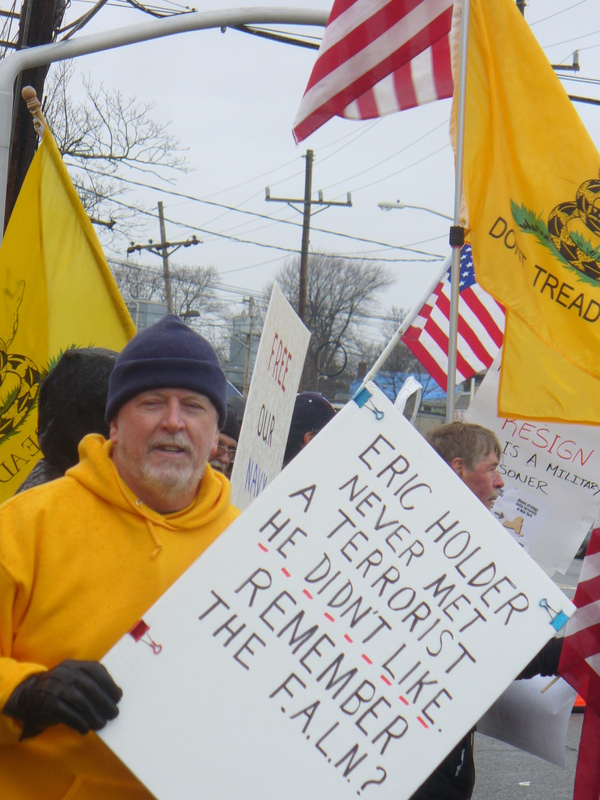 9/11 family members, veterans, FDNY, NYPD and tea party patriots turned out to make his visit memorable! He came to speak at the Memorial Presbyterian Church where his brother is a member. 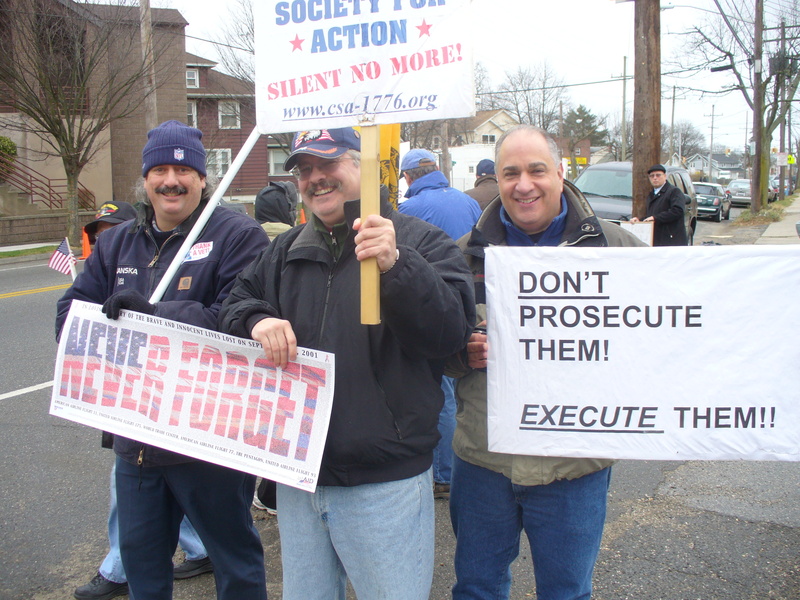 Dozens of protesters lined Babylon Turnpike to greet him when his two SUV’s came to the church. He snuck in and out of the back door, but we’re sure he was surprised on his arrival when he saw everyone there on the street with flags and signs! The Silent Majority has pictures from inside the church. More on the Holder/FALN connection! More on the Holder/New Black Panther Party connection! We wrote about this here. More Videos of the protest! Related: Help Stop the Move of Gitmo to Illinois! Here’s a great video, posted at Michelle Malkin, from the protest in NYC on December 5th!